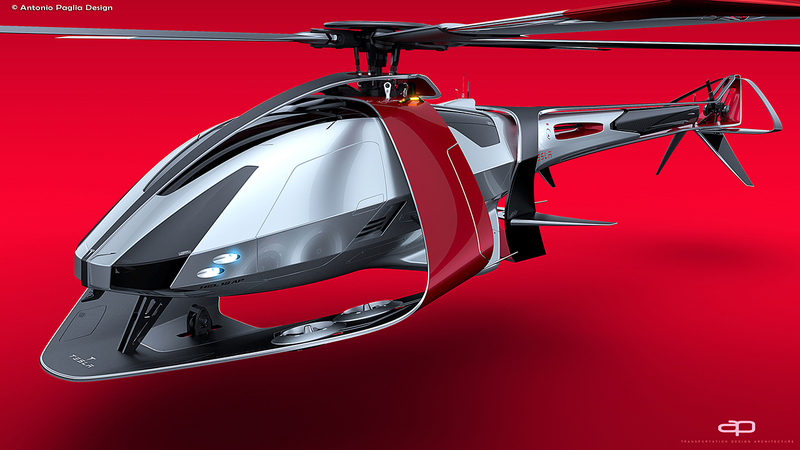 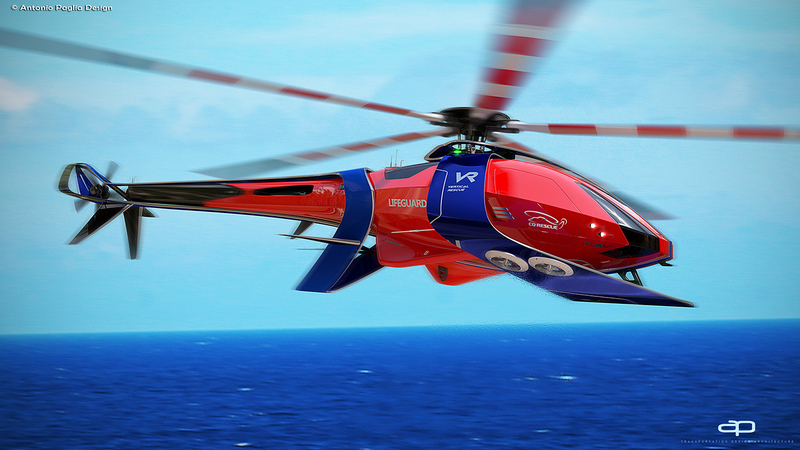 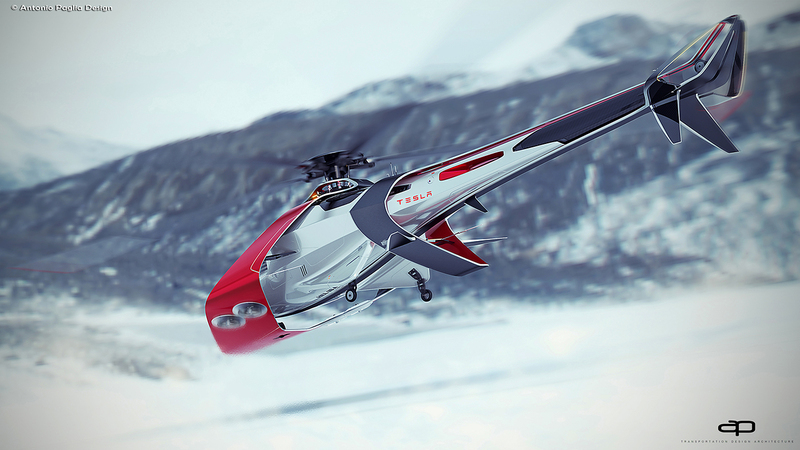 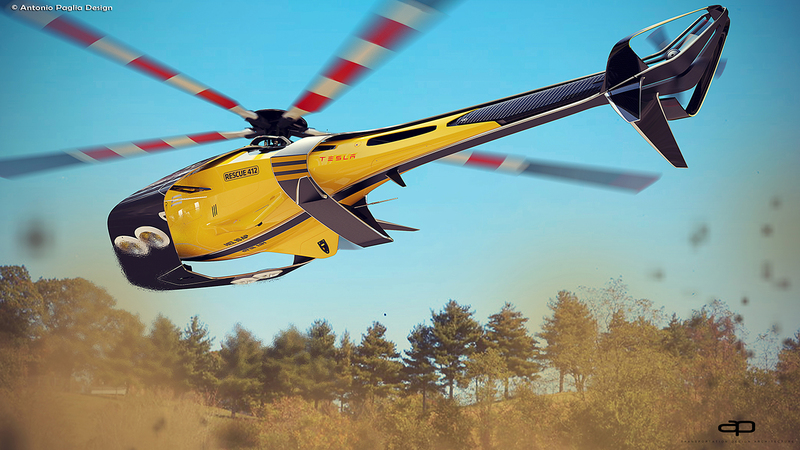 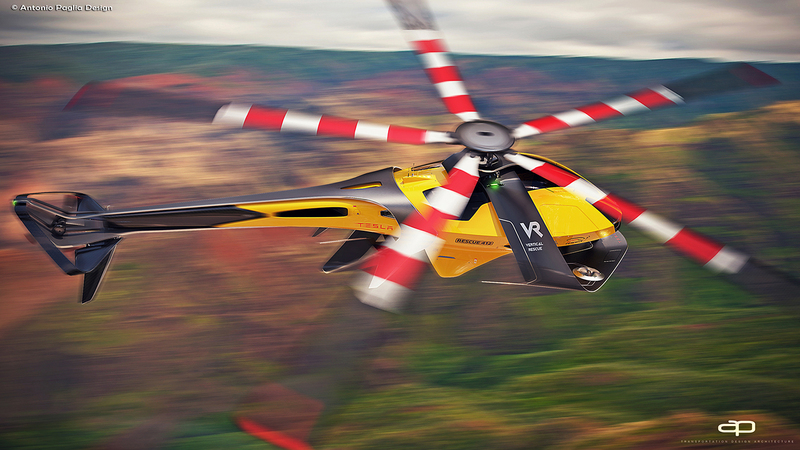 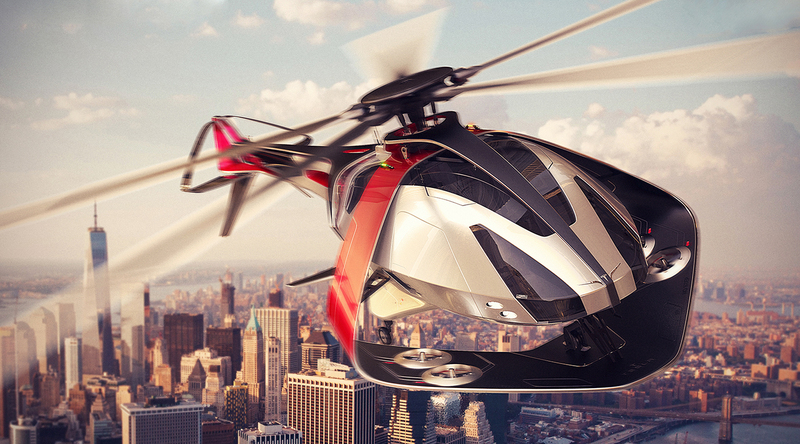 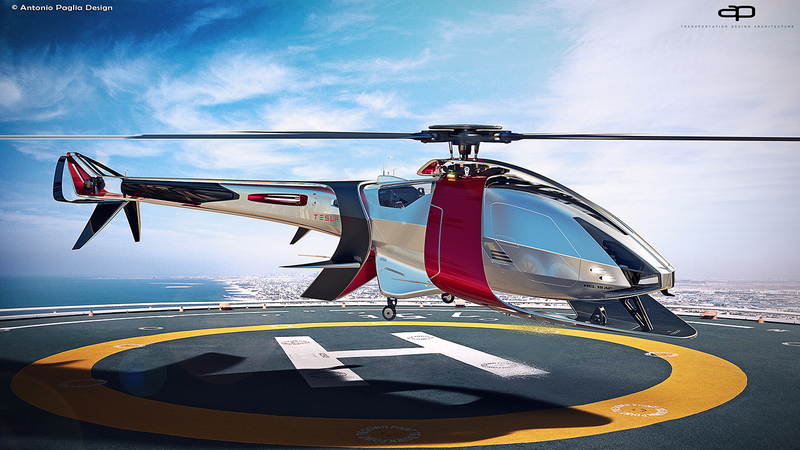 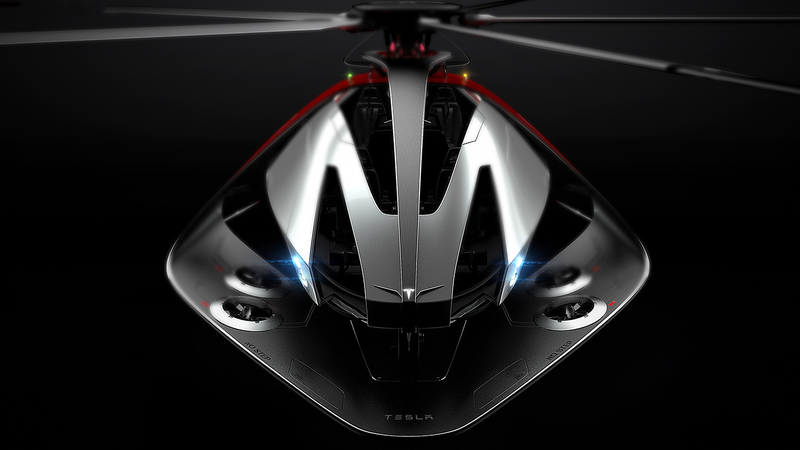 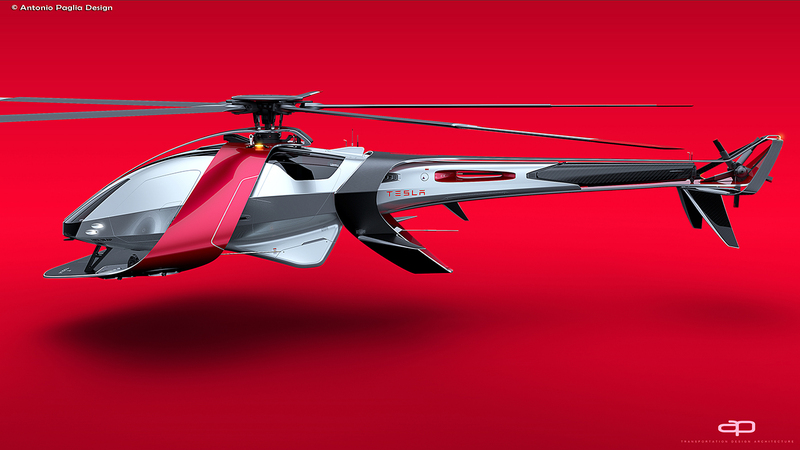 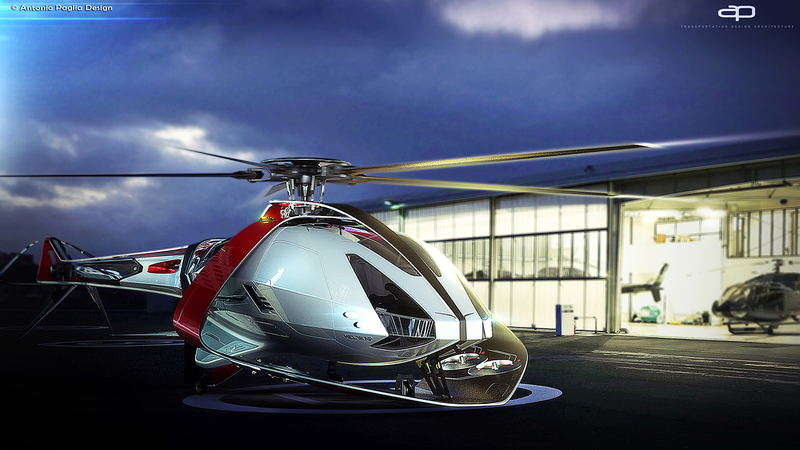 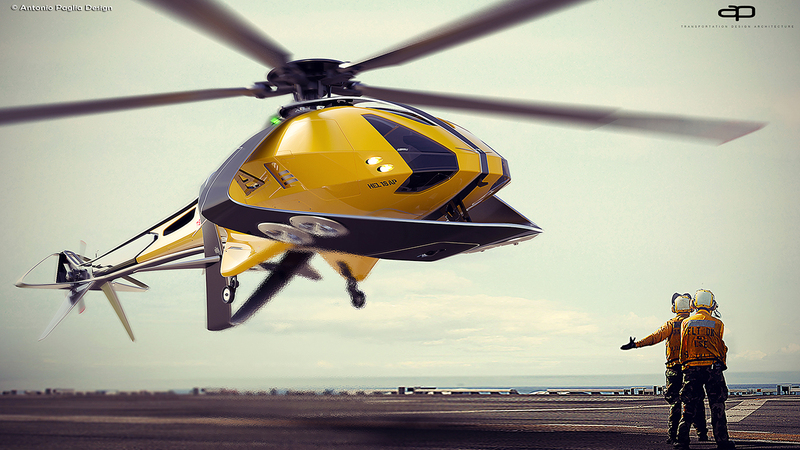 Tesla Helicopter concept is a study of a new electric helicopter. 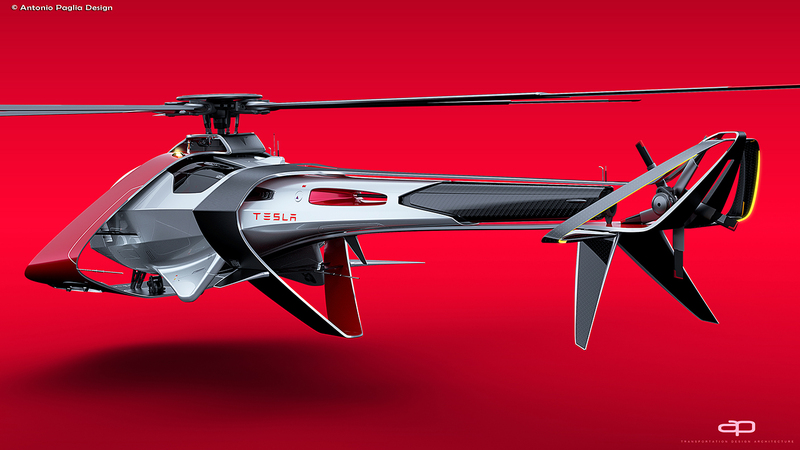 Smarter and more efficient than traditional helicopter, Tesla model H combines helicopter and drone technology. 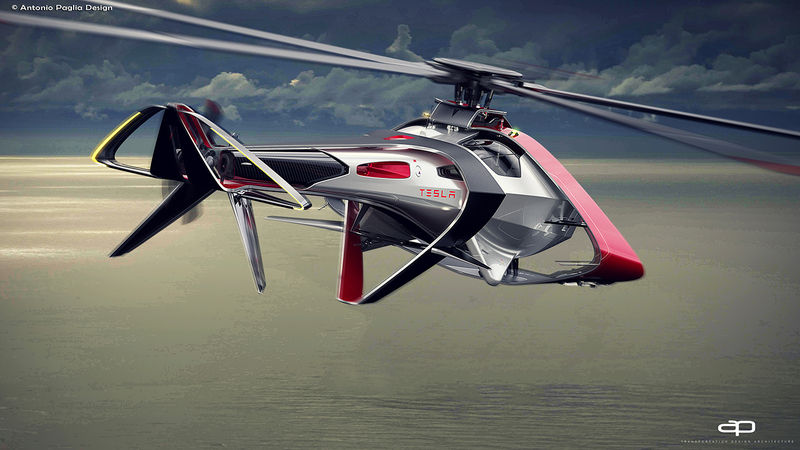 Four mini rotors help the driving maneuvers and make the flight more stable. 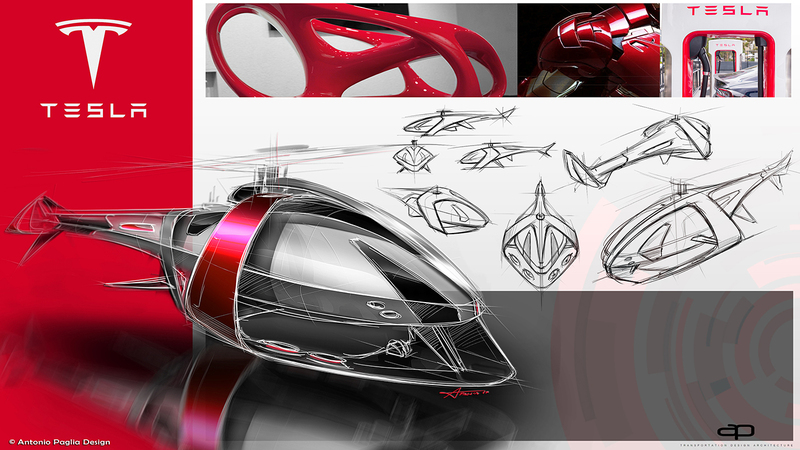 The form take inspiration from biomorphic shapes and robotic shapes. 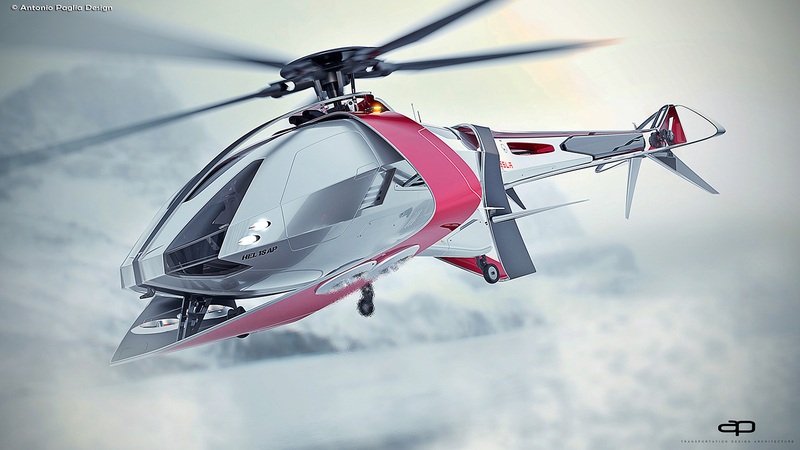 The body is surrounded by an exoskeleton, like a ribbon. 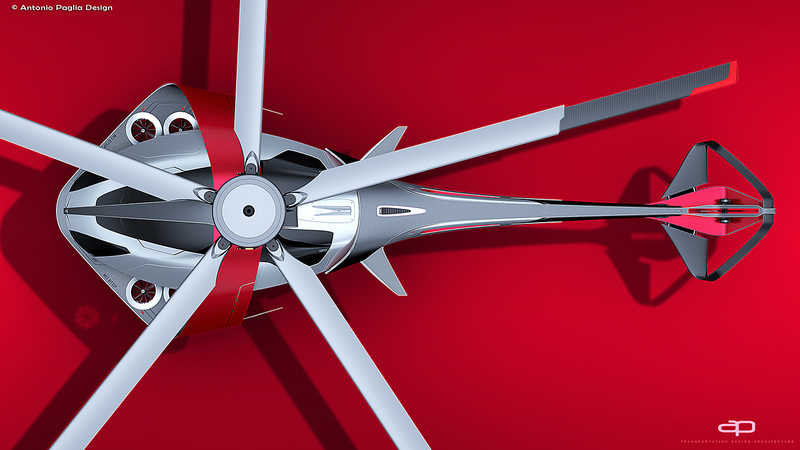 It accommodates rotors and acts as a structure.